For a slimmer face without liposuction or surgery. 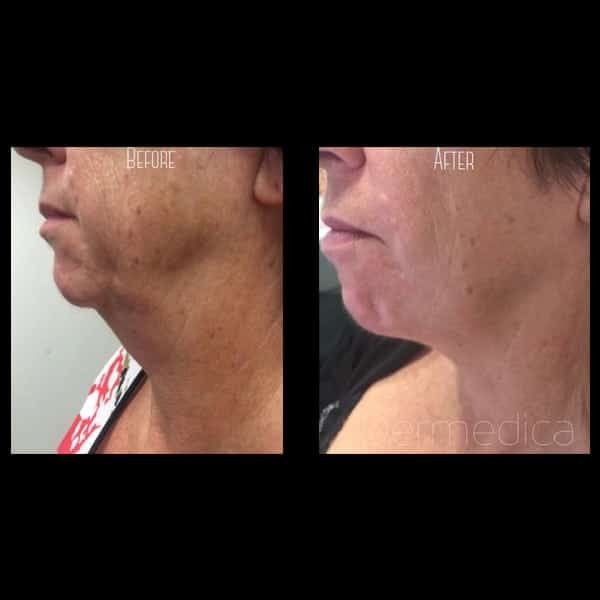 Fat dissolving double chin injections are a non-surgical alternative to chin liposuction to reduce double chin. This treatment is also known as lipodissolve, double chininjection, fat dissolving injection, DCA injection. Duration of results: clinical studies have shown that results are permanent. as long as you do not gain weight. 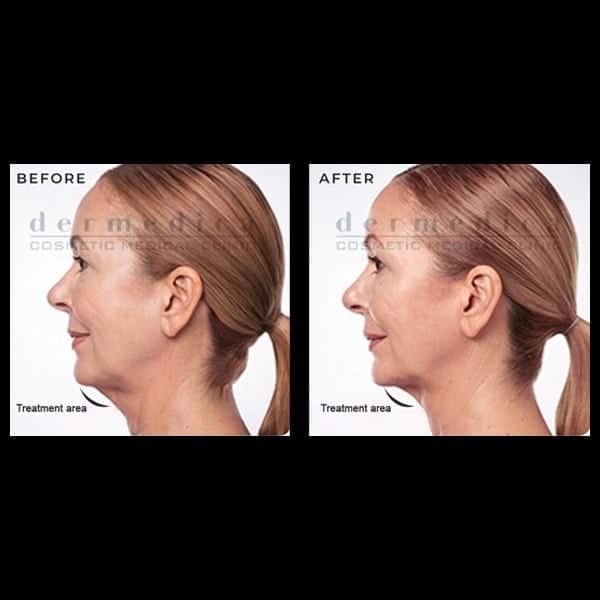 Double chin is one of those dreaded facial features that is very difficult to hide. Many people lack self-confidence because they feel uncomfortable about their double chin or the ‘flabby chin. Previously the only option is a chin liposuction or surgery. Now, there is a great surgery-free double chin treatment available. With the support of her dedicated team, Dr Joanna Teh provides non-surgical cheek fillers to clients from across Perth. This treatment is the most popular non-surgical cosmetic treatment for restoring the contours of your face and effectively used by doctors and plastic surgeons around the world. While individual results may vary, you can rest assured you are in highly experienced and very caring hands throughout your treatment. 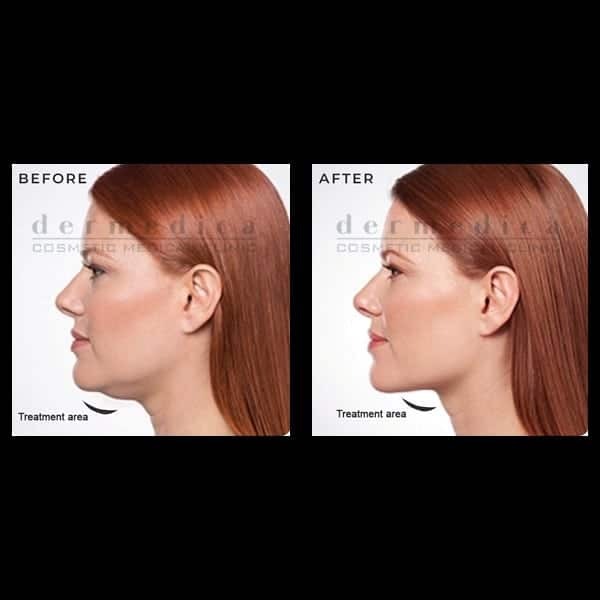 At Dermedica, Dr Teh offers this clinically proven, non-surgical liposuction solution to reduce fat under the chin. Saying goodbye to your double chin for good may be more accessible than you think! You may be surprised at how many people choose to access this treatment. Is fat dissolving injection the best treatment for a double chin? What are the causes of a double chin? 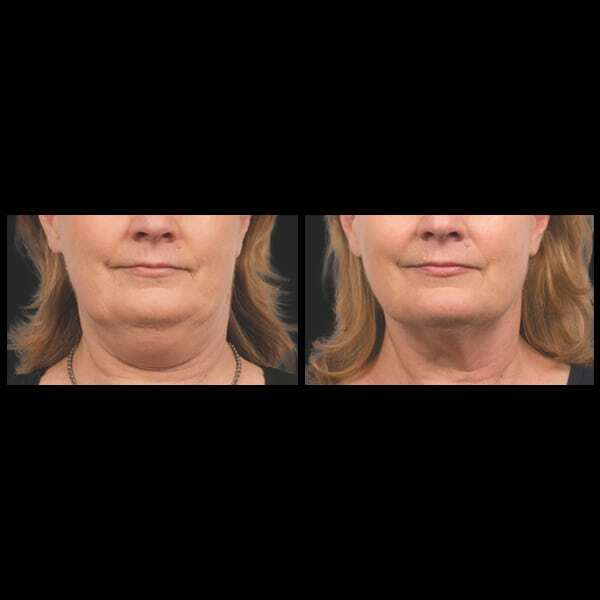 Is Double Chin Treatment Suitable for Everyone? How is the fat dissolving injection done? How long does it take to have fat dissolving treatment for a double chin? Is Double Chin treatment painful? Does the treatment work? Is it permanent? What happens if I put on weight? 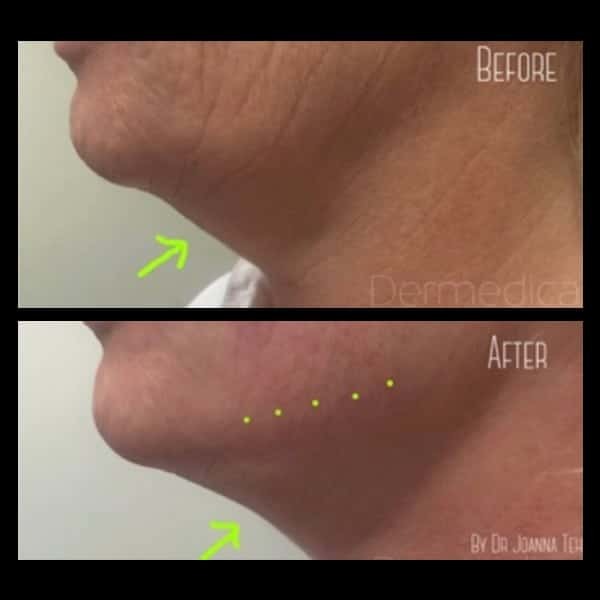 What are the side effects of Double Chin Treatment? What are the reviews on Fat dissolving injections? 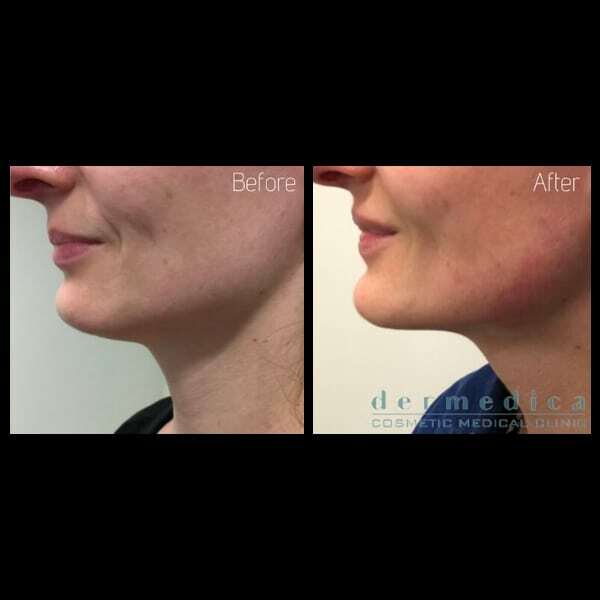 Why choose Dermedica for your fat dissolving injection for double chin? Dr Teh will take a thorough history, examine your skin and give you the best treatment option to reduce your double chin. If you are not suitable for the fat dissolving treatment, we can offer other very good non-surgical chin liposuction alternatives such as Coolsculpting, Exilis and Ultherapy. 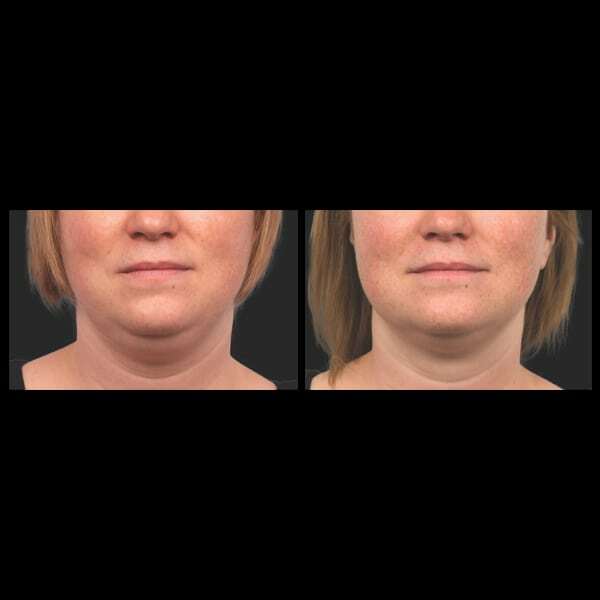 There are 3 main factors that contribute to the double chin appearance. Genetic. Some people can inherit the genetic predispositions of fullness under the chin. 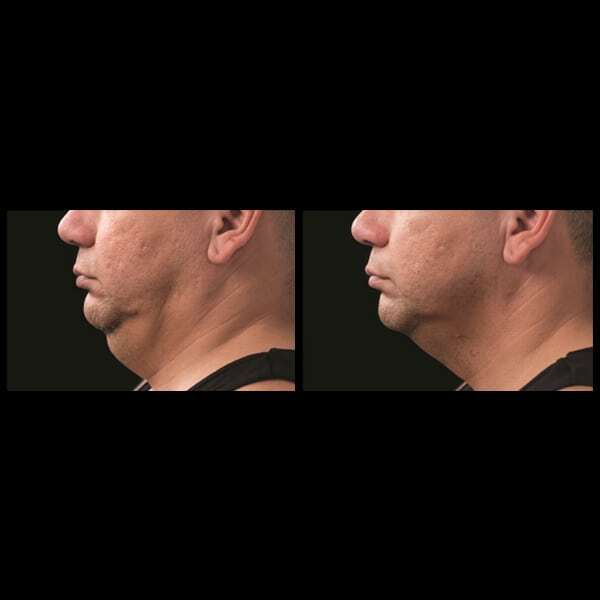 Weight gain is a common cause of fullness under the chin. Ageing can decrease muscle tone in the neck region and reduce skin firmness, contributing to the fullness of the double chin. Fat dissolving injection will only address the fat bulge under the chin. You will need other treatments to strengthen your muscle tone and tighten your skin. The treatment works by administering a clinically proven fat dissolving formulation into stubborn fatty areas like the double chin. This active ingredient is a naturally occurring substance in our body that metabolises fat in the food we eat. When injected by a trained medical professional, this substance can selectively break down the fat cells responsible for the double chin. It is vital to have a consultation with a trained cosmetic doctor who has years of experience to determine if you are suitable for this fat dissolving injection treatment. In addition, it is important to discuss safety, your expectations and your medical history. Must have a doctor’s consultation to assess suitability and discuss treatment options. This procedure should be performed by a medical doctor to ensure safety and a great outcome. The medication is a TGA approved prescription product indicated to reduce moderate to severe fat under the chin. During your procedure, Dr Teh will accurately mark the targeted area. Your skin will be numb. A series of micro-injections using the smallest needle available will deliver the fat dissolving substance into the fat cells. Treatment time is usually less than 30 minutes. Dr Teh will take the required time to make your experience as comfortable as possible. At Dermedica, we are very mindful of making our client as comfortable as possible. Dr Teh uses various techniques available to make your treatment a pleasant one such as using a strong numbing cream. Some people describe this treatment like little ant bites. Although some people from other clinics or on the internet have reported pain during the procedure, Dr Teh is very careful in managing your discomfort level during and after treatment. Once the fat cells are metabolised, it is likely the results will be permanent, as long as your weight is stable. 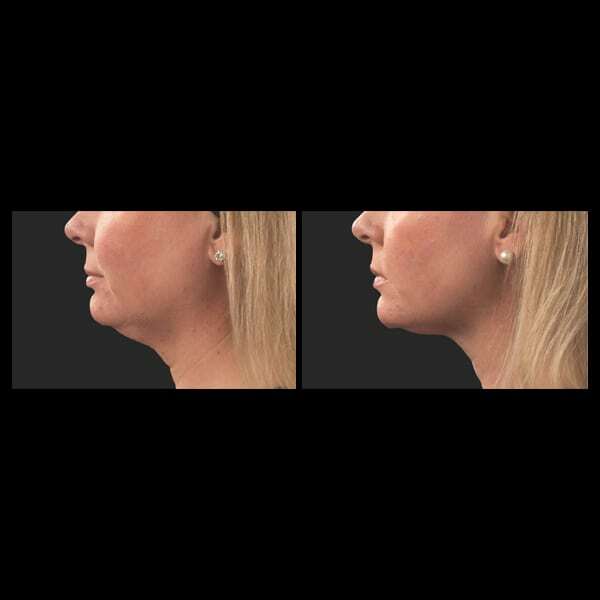 If you happen to gain weight, like other fat reduction treatment and liposuction options, the profile of your chin and body will change due to the fact that you are carrying the extra kilos. The most common potential side effects are redness, swelling, bruising, varying degree of numbness and areas of hardness around the treatment area. These side effects often subside in a few days post-treatment. In rarre cases, there may be other more serious side effects that patients may encounter such as nerve injury, asymmetrical smile and difficulty swallowing. All medical procedures carry risks. Hence it is important to have a thorough assessment with a trained, experienced and cautious cosmetic doctor to discuss your concerns and needs. Many patients may notice a subtle visible improvement after three weeks. More noticeable results are seen after 4-6 weeks. Some patients may need more than one treatment for more dramatic results. Most patients may experience some degree of swelling and mild bruising under the chin. This effect may last up to five days. Dr Teh will monitor your recovery period very closely. Depending on the severity of the double chin and your expectations, you may need between 1-3 treatments. Dr Teh has treated patients who are happy after one treatment and some patients that require up to three treatments for a more dramatic change. 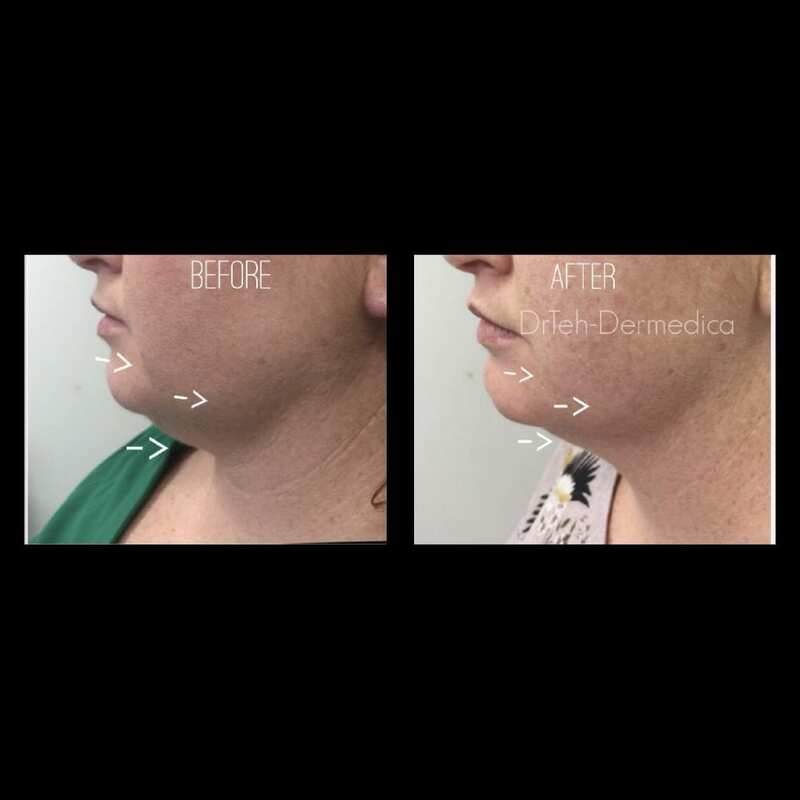 The advantage of choosing Dr Teh for your double chin treatment is that we will discuss other options or combination of treatments to minimise the number of fat dissolving treatments you require. Some reviews indicate that the treatments is painful. At Dermedica, Dr Teh with years of experience will make sure your treatment is as comfortable as possible. Other reviews indicate that it swells. The degree of swelling will vary between individual and the amount of fat to treat. Dr Teh will thorough assess your chin and give you an indication of the degree of swelling if you need to take any time off work. At Dermedica, we do not delegate your treatment to a nurse. You will see Dr Teh for your assessment, consultation, treatment and aftercare. We are one of few clinics in Perth that provide this level of attention. We want you to be happy with your outcome. We truly believe in continuity of care, so we can get to know you and serve your needs better. Dr Teh has been specialising in non-surgical methods since 2000 to improve your appearance without surgery. She has put in hours of research to offer you this effective and non-surgical alternative to chin liposuction.